420 means a lot of things to a lot of people in the cannabis community— activism, education, celebration, normalization, advocacy, policy and tradition. This Friday, while you’re out there blazing for all those reasons and more, take a moment to reflect on all the hard work and sacrifice that’s gone into the movement. MAGNETIC asked twelve industry experts and influencers to share their thoughts on the high holiday. Check out what they have to say! With 4/20 just around the corner, it seems the perfect opportunity to discuss the merits of stirring cannabis cocktails. I’m usually hard pressed to find bartenders who really know the physical differences between stirring and shaking a cocktail—any cocktail. Now, add to that equation fragile ingredients that you may not want to pulverize and turn into overly green (read: botanical) flavors like cannabis, and those differences become even more important. One of the most unpleasant of all overly-green flavors is mint. When it is excessively manipulated, the aromatics and essences resemble that of mud. And no one wants to drink mud. You may have witnessed this yourself in batched up Kentucky Derby cocktails, where the mint is added to the ice the day before, frozen, and then topped with bourbon just prior to serving. The end result is a muddy mess that screams for a fresh glass, new mint, and clean ice. The Dramatis Personae Cocktail, via Cannabis Cocktails, Mocktails, and Tonics / Fair Winds Press. Warren is a formidable force in the food and cocktail industry. Aside from being a master mixologist and chef, he is also an accomplished writer for various publications, as well as an author of four acclaimed books, the latest of which is Cannabis Cocktails, Mocktails & Tonics: The Art of Spirited Drinks & Buzz-Worthy Libations. From Mesopotamia to ancient Rome, people have been infusing alcohol with cannabis for as long as cannabis has been around. In recent years, cannabis-infused alcohol has seen a resurgence of public interest, due largely to the spread of legalized cannabis in the United States. Most recently, the creators of Blue Moon announced that they would develop and release their own brand of craft cannabis beer. I love the magic of the inter-webs. Instagram, the darling of the moment has led me down many paths to enlightenment in my newest career. I’m fortunate to meet some amazing people along the path to enlightenment- at least in my own direction in life. One of these paths led me to one Cannabis Entrepreneur in particular, and this person is weaving her magic in the modern, Pacific Northwest Cannabis Industry. As an introduction to this dialogue, I’m lucky to have been accepted by a deeply spiritual world of healers -an entrepreneurial path based on our overall desire to be well and to heal. Wellness bubbles over in the universe and it encourages us to do better by others. I’m satisfied to say that through the use of Cannabis as a medicinal methodology, it has become something that explains much, without shouting or being overtly antagonistic in the methodology of altruism and smoking anywhere and everywhere. I don’t do that. 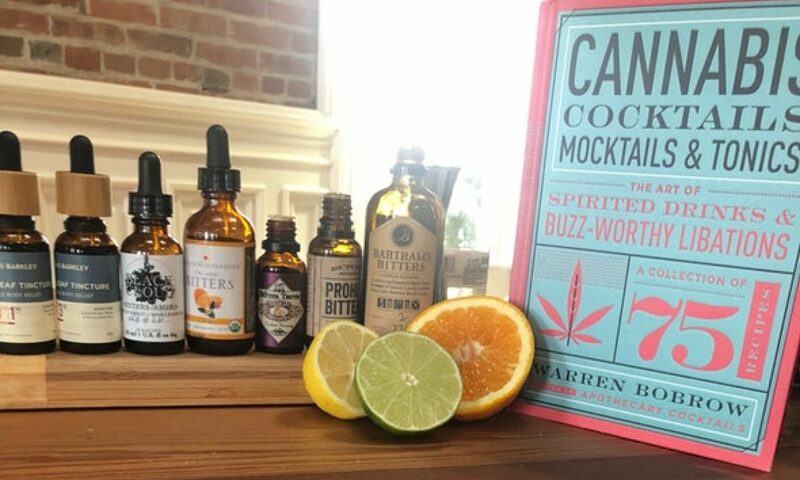 I usually let my book, Cannabis Cocktails speak for itself as a life form and a method of medicating without being too overt. What I’m fortunate to do is not for everybody- but those who get it find the science beguiling and intriguing- all at the same time. Then there are the recipes of course, delightful, inspirational and candidly delicious. They get people’s attention- like my salubrious Vietnamese Iced Coffee with THC infused Condensed Milk. Yum. That one is a good intro to my craft. But I digress. Emma Chasen is doing what I wish I could do, had I the bulk of educational research and razor sharp intellectual curiosity that brims from each word in her myriad of descriptors about what makes her different that the others. Emma has the hard work, the empirical science down pat and she makes it easy to understand- and better yet, to enjoy what she has to say. So few people make words that resonate, rather than just talk to a ‘talking head.’ Emma is not that person. As usual I want to shake things up a bit and make it exciting for my readers to find out something a bit deeper about their favorite person. And in this case I wanted to know more about Emma Chasen, a disruptor and bud-tender educator, eater. In short, curious and intriguing. Thank you, Emma for being so forthright in your answers and showing your pure smile in your hunger producing words.